Spring is in full swing here at the Humphrey household. I’m excited to be planning, and to have the time to plan, our summer garden. In years past I’ve planted a variety of vegetables and annuals, but last year I had very little time to devote to our yard and so gardens went to seed and weed. This year, with a schedule of my own making, I have entire morning or afternoons I can devote to growing my own vegetables and creating spaces outside that we can enjoy. 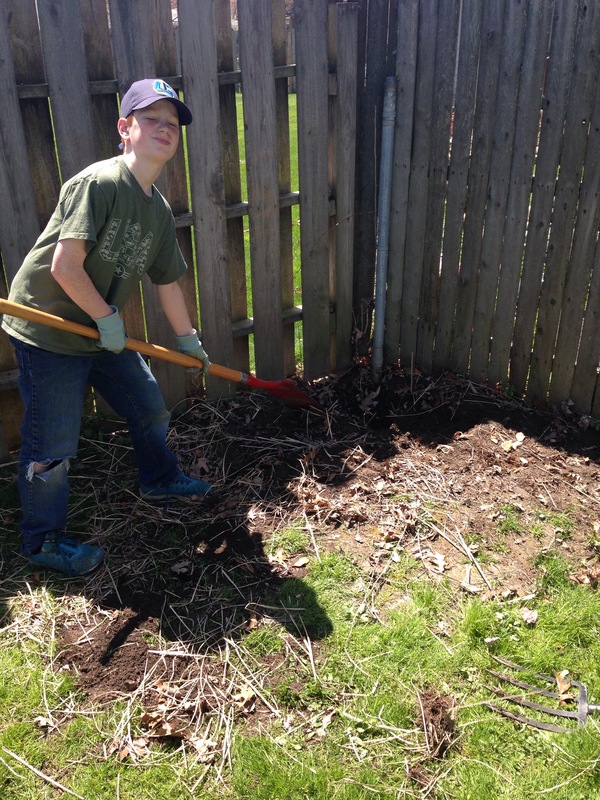 This year for Mother’s Day, I asked that Phil and the kiddos chip in to do some heavy duty yard work to get the ball rolling and make up for our neglect last year. I don’t need any more things, so their gift of time and effort means a lot. Phil and I had discussed using a bare corner of our back yard as a possible rain garden. We picked up a free design guide at one of our local parks and started to do some online research about how best to tackle the project. I was thrilled when Petitti’s reached out and offered to partner with local bloggers for their spring and summer projects. It seemed that the rain garden was meant to happen. So, what’s a rain garden? Rain gardens are meant to collect run off from a downspout or to make use of water that collects in certain low lying areas of your yard. The rain garden itself acts as a filter for storm water, cleaning it before it enters local waterways. 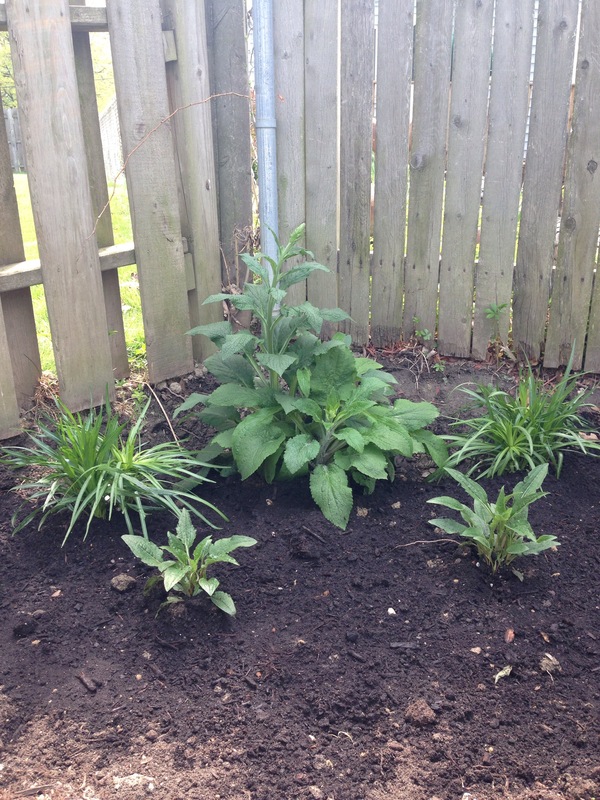 Rain gardens can also provide habitat for local wildlife, such as birds and butterflies. Because the water will remain in the rain garden for an extended time, it also helps to recharge groundwater supplies. Increased storm water run off can mean increased pollution in nearby bodies of water, so with Lake Erie only about a half mile away, we do what we can to make sure our great lake remains healthy and clean. Select the area of your yard that is most likely to be successful as a rain garden. This can be an area close to a downspout that you can redirect to the garden, or even a low-lying area of your yard that already collects rain. Map out your garden and border. 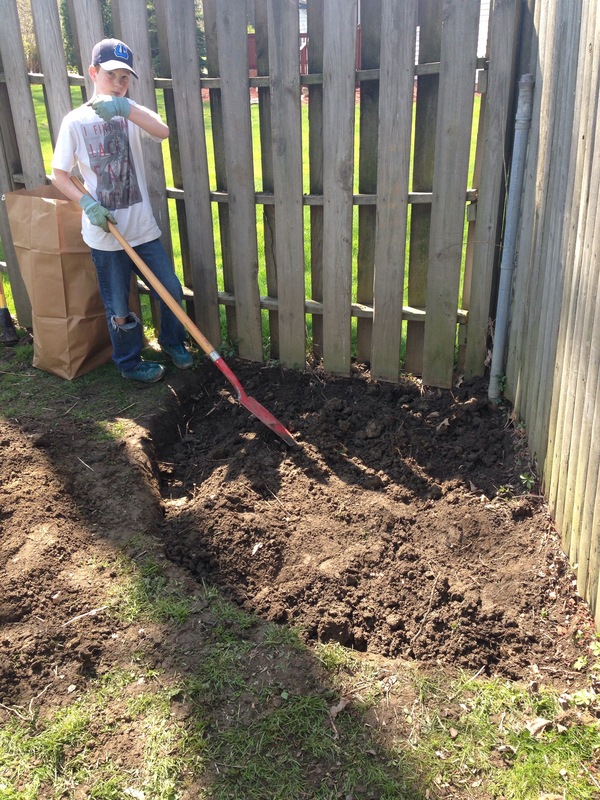 Depending on your soil quality, you may need to dig and remove a significant amount of existing soil. This was, unfortunately, the case for us. Our backyard is full of compacted clay and Phil spent the bulk of his time excavating the old soil to make room for new. We moved the old soil to an area behind our garage that houses our compost bin, so if you have a large amount to remove be sure to consider where it will be going! Create a berm that will help to ensure retention of water. You can do this by compacting some of the soil you removed from the site itself or by using hardwood mulch as a border. 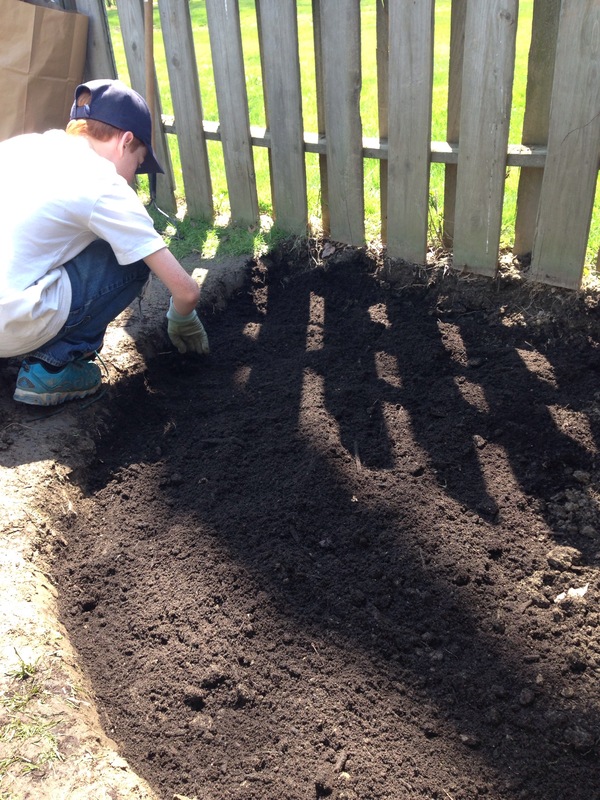 If removing soil, you will need to fill in with a mix of 50-60% sand, 30-40% topsoil and 5-10% compost. Luckily, Petitti’s sells a similar mix in their stores and we purchased enough to fill in the area that we had removed of clay. Even the soil and begin your planting! Petitti’s has a list of planting guides and their rain garden link gave us a number of ideas of what to plant. Your choices need to be especially water tolerant and ideally native to your environment in order to encourage birds and butterflies to visit. Phil and I browsed the amazing selection of perennials at Petitti’s and settled on three varieties to start with this summer – Bee Balm, Purple Coneflower and Blazing Star. I anxiously awaited the first strong rain we got after Phil finished the work and the garden took on any water that came down, leaving the corner of our yard that was often a bit of pond looking more like the beginning of a lush garden. We also have a nearby downspout, so if we ever determine that the garden needs more water, we will redirect the spout as a backup plan. Want to let Petitti’s help you get your spring project started? I have a $50 gift card giveaway from Petitti’s to help! To enter, simply leave me a comment below telling me how you’d use the gift card to Grow a Beautiful World! One entry per reader. Winner will be notified on 5/17/15 by email. Disclosure: Petitti’s provided participating bloggers with a $100 gift card as compensation for this sponsored post.